Connecting your Amazon Australia account to Sendle is super easy with ReadyToShip’s integration with Amazon. This integration connects your Amazon Australia account to Sendle for easy shipping with the click of a button (full list click here). One click tracking update to Amazon! Speed is of the essence and Amazon Australia (like other Amazon marketplaces around the world) has strict performance metrics. ReadyToShip help sellers maintain high standards with shipping time by optimising the label printing and order updating process with Amazon. Connecting Sendle only takes a few minutes and can be done without any assistance. Once Sendle is connected, Amazon orders are imported automatically into ReadyToShip. Sendle pricing is shown for each order (using the item weights and dimensions from the Amazon order). Then simply select orders to ship, and click a button to print labels, and click again to update Amazon with tracking information. Simple! Amazon Australia is Amazon’s newest marketplace, and for now is offer merchants the ability to list product and self-fulfil. This is called Fulfilled By Merchant (or FBM for short). ReadyToShip is a multicarrier/multi-store shipping platform that now integrates with Amazon Australia, allowing sellers to manage their orders, print labels, and update tracking numbers back to their Amazon account. ReadytoShip now help sellers ship nearly 1 million items a month in Australia. Start a FREE 30 day trial of ReadyToShip, and if you don’t sell on Amazon Australia yet, click here to register. Connecting your Amazon Australia account to major Australian Shipping carriers today became simple with ReadyToShip’s integration with Amazon. This integration connects your Amazon Australia account to carriers such as Australia Post’s eParcel, Couriers PLease, Fastway, Sendle, DHL, Startrack and more (for a full list click here). ReadyToShip is pleased to announce an integration with Sendle. As a bonus, if you use Sendle via ReadyToShip you automatically qualify for Sendle Premium Pricing! Sendle is a national flat rate delivery service. 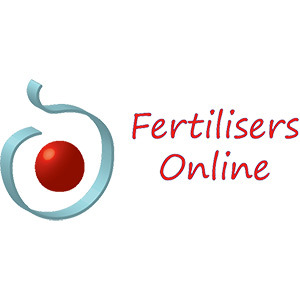 You can sign up for free here. Pricing is based on satchel or carton and there is no minimum number of parcels required for a pickup from your home or business. 90% of locations are covered. Click here for an up to date list. 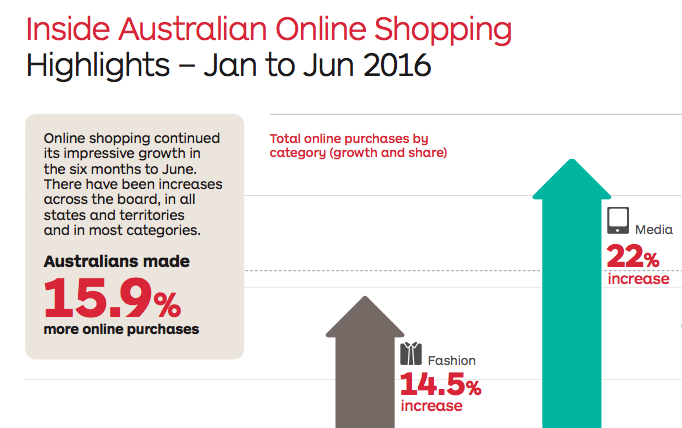 Australia Post has released some fantastic data on the state of Online Retail in Australia for 2016. We at ReadyToShip love data and statistics so this document was great reading. It is 122 pages of information about the industry including breakdowns of growth by vertical and growth of the industry as a whole. Online retail continues to evolve and mature, creating great opportunities for Australian businesses. While Australians have traditionally been accustomed to the familiarity of buying goods in a bricks-and- mortar store, the trend for growth is clear. In Christmas 2015 – the busiest time of the year for online shopping and deliveries – 53% of Australians bought online1, highlighting the strong potential for growth in the Australian eCommerce market. Growth in online spending on physical goods exceeded bricks-and-mortar by 1.8%. As Australia’s fondness for online shopping continues to grow, and previously untapped sections of the Australian population become more comfortable with online shopping, the shift towards digital will accelerate. The full report also goes into detail on emerging suburbs for deliveries by vertical so, as a retailer, these suburbs might be worth targeting with some marketing. We also have some single page category data to share — these are listed below. 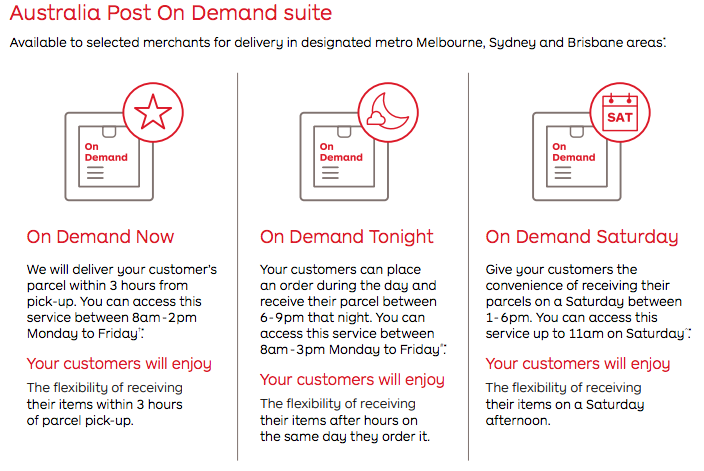 ReadyToShip, a leading Australian integrator of web stores and carriers, has today announced the signing of a partnership with Australia Post – the nation’s largest parcels, freight and logistics provider – to streamline shipping for online retailers. “In the past, shipping and tracking have been far too time consuming for online sellers” says Nathan Huppatz, co-founder of ReadyToShip. How do eBay’s new 2016 Shipping Policies affect you? eBay Australia recently introduced new shipping policies aimed at simplifying seller standards. At the core of this change is the Late Shipment Rate defect score.